(169976, Stand Watie Collection, OHS). Cherokee journalist, poet, and novelist John Rollin Ridge (Chees-quat-a-law-ny, or Yellow Bird) was born on March 19, 1827, the Cherokee Nation, in present Georgia. He was the son of John and Sarah Ridge. His grandfather, Major Ridge, an influential Cherokee leader, together with Ridge's father and other family members, signed the 1835 New Echota treaty. This agreement sold Cherokee land in the East for land in what is now Oklahoma, a move that was seen by some Cherokees as the cause of the Trail of Tears. In accordance with the treaty, the Ridge family relocated to the Honey Creek area of the Cherokee Nation, near the present Oklahoma-Missouri border. When Ridge was twelve, assassins from a Cherokee party opposed to the signing of the New Echota treaty stabbed his father to death in front of his family. Fearing for their safety, the family moved to Arkansas. Ridge was educated in Arkansas and later in Massachusetts, after which he returned to manage a farm on the family's Honey Creek settlement. In 1847 he married an Arkansas woman named Elizabeth Wilson. Violence again entered Ridge's life in 1849 when, during an argument over a horse, he killed a man loyal to the faction that had killed his father. Certain that he would not receive a fair trial, Ridge fled to California. After an unsuccessful attempt at gold mining, he found employment writing for various California newspapers. In 1854 he published the first novel written by an American Indian, The Life and Adventures of Joaquín Murieta, the Celebrated California Bandit. Due to pirated editions Ridge's novel, though widely read, was not financially successful. After the Civil War he helped establish the peace treaty between the Southern Cherokee Nation and the United States. 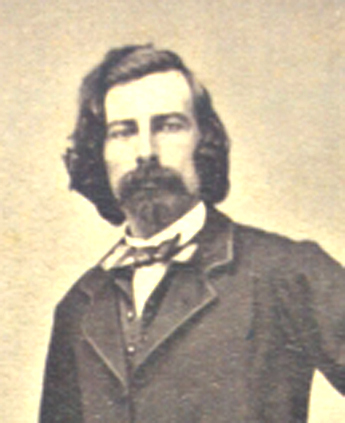 Ridge died in Grass Valley, California, on October 5, 1867. James W. Parins, "John Rollin Ridge," in Handbook of Native American Literature, ed. Andrew Wiget (New York: Garland Press, 1996). James W. Parins, John Rollin Ridge: His Life and Works (Lincoln: University of Nebraska Press, 1991). Thurman Wilkins, Cherokee Tragedy: The Story of the Ridge Family and the Decimation of a People (New York: MacMillan Publishing Co., Inc., 1970). Matthew Wynn Sivils, "Ridge, John Rollin," The Encyclopedia of Oklahoma History and Culture, https://www.okhistory.org/publications/enc/entry.php?entry=RI004.